Esprit de Corps Celebrates 30 years! On Thursday 25 October, the team at Esprit de Corps celebrated 30 years of publishing with a first class soiree at the Beechwood Cemetery. 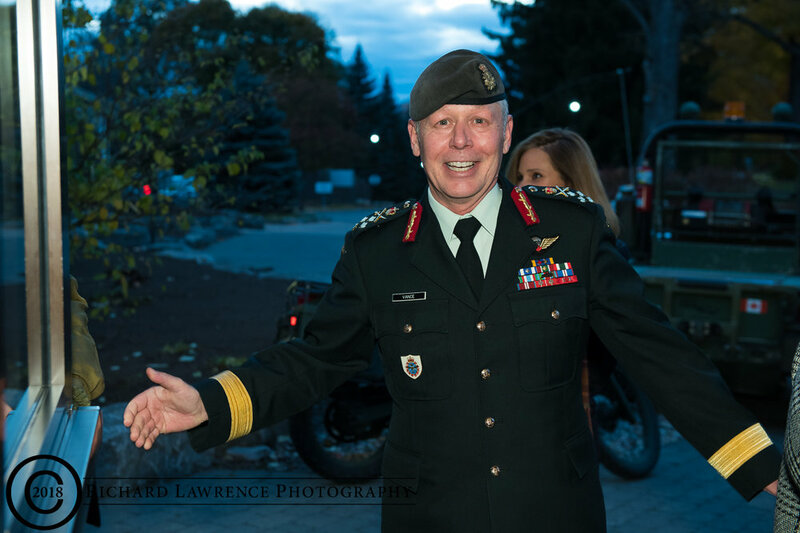 VIP attendees included Chief of Defence Staff Jonathan Vance and his wife Kerry, Vice-Admiral Ron Lloyd, Brigadier-General Steve Moritsigu, Former General Tom Lawson and retired Major-General Lewis Mackenzie. Ambassadors from Turkey and Serbia joined several dozen military attaches and their wives representing the diplomatic corps. A team from CPAC TV and representatives from the Hill Times were also on hand. Presentations were made to: VIA Rail Canada, Guthrie Woods Products, WIDs, Cadet Leagues of Canada, Michel Drapeau, La Favorita, Commissionaires, Canadian Armed Forces, Hill Times, CPAC, and the Ottawa Service Attaches Association. The Korean Embassy also used this occasion to commemorate the works of Les Peate in chronicling the Korean conflict in Esprit de Corps over the past three decades. 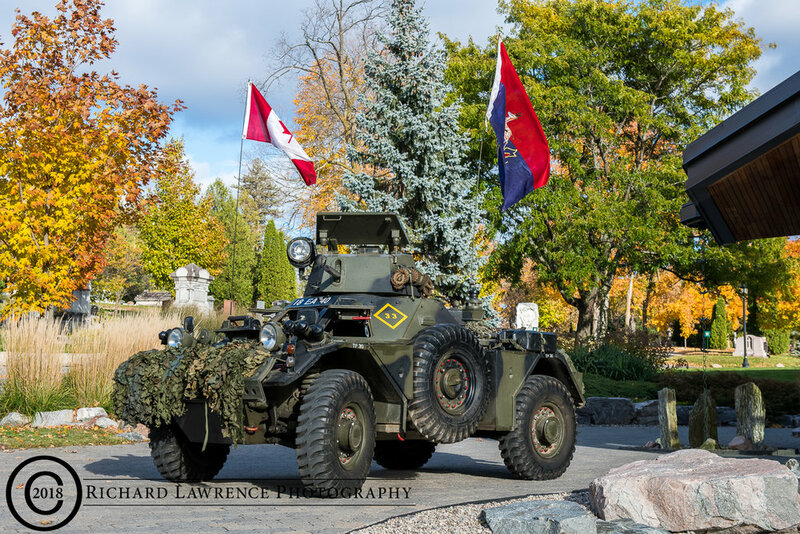 On hand were re-enactors from 1812, WW1, WW2, Korea and the 1970’s, along with a collection of vintage vehicles. Live music was performed by the Ottawa Jazz Orchestra and food and beverages were provided by the following Embassies and High Commissions: China, Chile, Germany, Netherlands, Pakistan, South Korea, Serbia, Turkey Russia and USA. 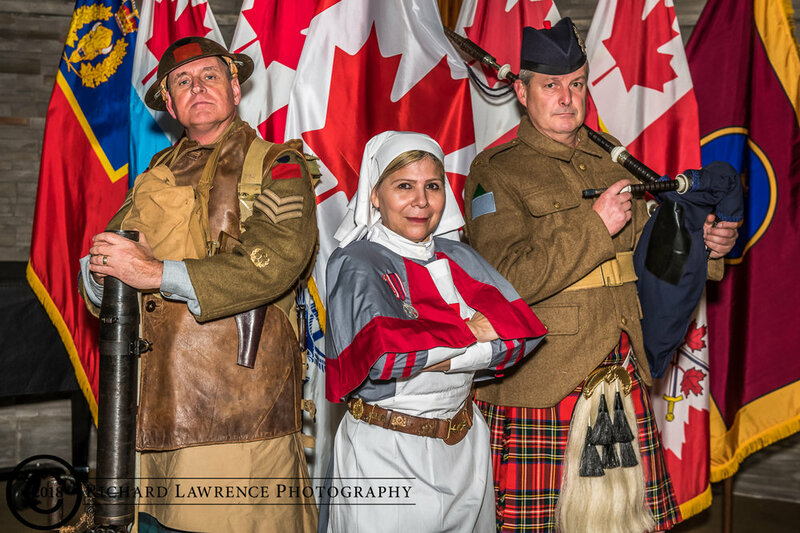 The staff at Esprit de Corps wish to thank all those who contributed, donated or simply attended this celebration of an incredible milestone.